Northop Hall Country House Hotel. Having recently acquired the existing hotel and grounds the new owners are seeking to improve the site and facilities. 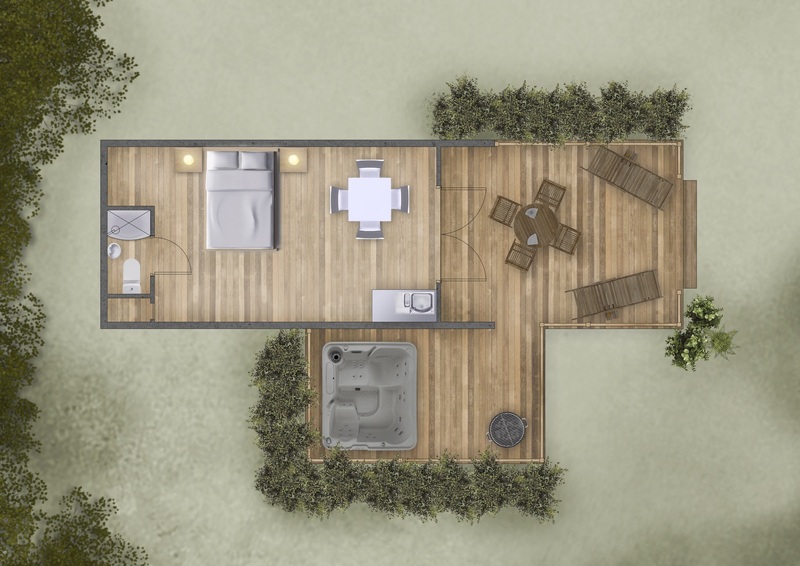 The client was looking to add 9 self-contained glamping pods next to some on-site woodland, each with its own outdoor hot tub. Our objective was to deliver a high-quality contemporary solution sympathetic to the woodland location, with minimal impact on hotel operation. It was clear that an off-site fabrication would be most suitable to ensure the required high build quality and minimal disruption to hotel operation. 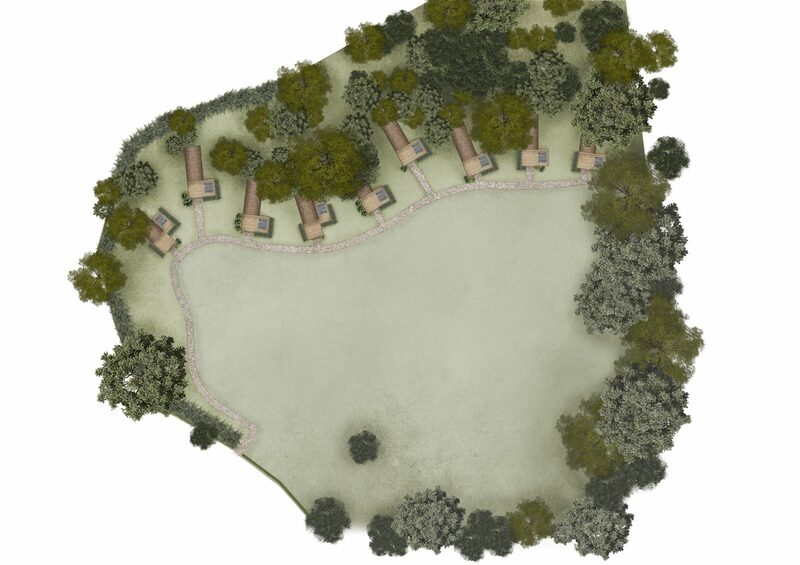 A light touch solution was proposed to minimise the ecological impact and maintain the woodland atmosphere. Arrangement of the pods on site was carefully considered and organic layout working with the existing trees utilised to avoid a regimented aesthetic. The pods themselves were sourced from an established supplier, but the designs have been tailored to the specific needs of the site and the client. This delivers a cost-effective product with high quality materials and improved internal facilities. Unlike many on the market, the chosen pods are constructed on a rigid steel frame and can be manoeuvred into position by a tractor, rather than a crane. This is less costly and avoids potential access problems in trying to manoeuvre a crane on a wooded site. Unlike many others the chosen Pods are constructed on a rigid steel frame and so can be manoeuvred into position by a tractor without a crane. This is less costly and avoids conflict with the trees overhead that a crane would risk. Architectural design, visualisation and planning application. The client had a vision of what they wanted to achieve, but needed to know if it was feasible and how best to realise it. Working with the client and the pod manufacturer, we investigated various solutions and optimised provision to ensure the proposal was best value, while maintaining the ambience of the location and avoiding over-development of the site. The provision of architectural rendering brings the scheme to life, allowing all parties to appreciate the quality of the proposal. "Since beginning our partnership with Hive in early 2017, we have found them to be one of the most pro-active and efficient companies we have had the pleasure to work with. The quality of their work is outstanding and the timescales they have worked to have been incredible. We look forward to working alongside them for many years to come as they help us to build our brand on the back of their professionalism and dedication." Planning is expected to be approved late 2018 and the pods could be in operation to capitalise on peak time. Project turnaround from inception to operation has been minimised. 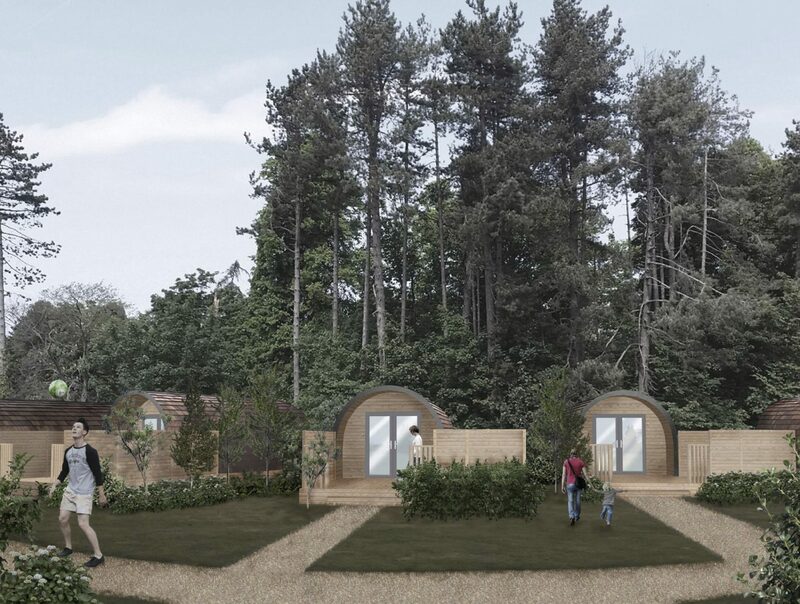 The pods have added to the capital value of the site and are expected to enjoy high occupancy rates throughout year. There is the additional bonus of increased footfall on site, which is likely to boost demand for hotel bar and restaurant facilities. The development is funded by investors, with income returned from use. The quality of the proposal allowed the pods to be ‘sold’ before installation, minimising capital risk.